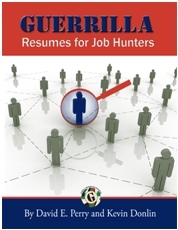 Guerrilla Job Hunting - Job Hunting - Considered India? Job Hunting - Considered India? If you are looking for a job, maybe it's time for you to consider India ! India's fast growing industries, from Information Technology, to Pharmaceuticals, to Insurance to Manufacturing all need people with the ability to get things done, and fast. Most of these are family owned businesses that have nevertheless understood the need to professionalise and get talent from around the world. That's because if you have to sell tractors against John Deere then you better know what sells in the heart of the US. Who else apart from American managers can give that insight. Indians speak a language of business that is very close to American. And I don't just mean English ! The premier Indian B-Schools like IIM-Ahmedabad and IIM Calcutta have been established in collaboration with Harvard and MIT, and therefore have some common DNA. Lots of Indian managers have been educated in the US also. A stint in any global location would be an added strength on your resume and maybe be a differentiator when one is being considered for leadership roles. In fact, one of my ex-boss moved from Canada's banking industry to India's BPO industry. When I asked him why, he said "I've downsized organizations in Canada, now I wanted to understand how growing an organization feels like!" The cost of living in India is still very less ! A dollar takes you a long way ! The heat and dust might take some getting used to !